When I first time visited a German supermarket I had difficulty to select German hams because there are too many types, from cooked hams, smoked hams to cured hams. 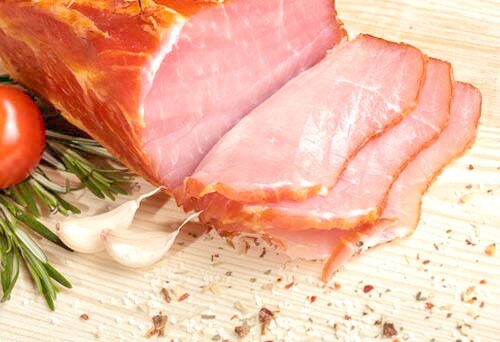 German hams are made not only from pork, but also from chicken, beef or turkey. Some are suitable for starters. Others are suitable for cooking. Germans use them for many different recipes and eat almost on daily basis. Over the years I have tried many German hams. I like to eat them with bread, sometimes as snacks or with wine. In general, there are seven best German hams. They are all made from pork meat. 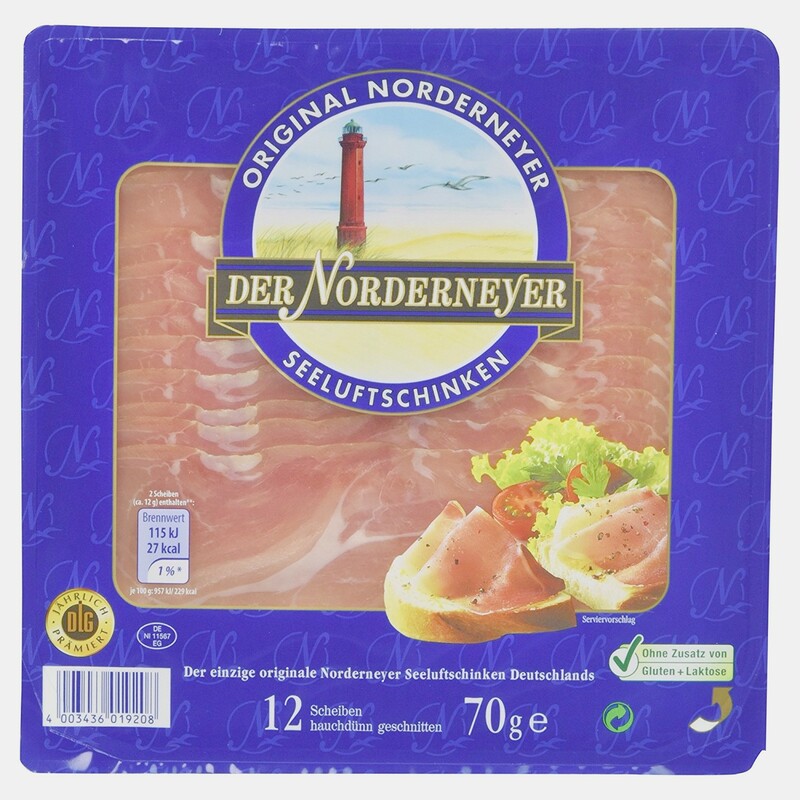 This type of German hams is made from the pigs raised in Schleswig Holstein. The first step is to rub the meat with hands using French sea salt and other herbs. Once a week, the old salt is brushed off. Then the meat is hand rubbed in the salt again. The meat stays in salt for seven weeks. During the time the salt goes deep into the ham and absorbs moisture. After this period the meat will go through the smoking process. “Kate” is type of small village houses in northern Germany. These houses are mainly used for smoking process. The smoking process of Holsteiner Katenschinken is done in such special smoke houses in which the smoking material was burned. That is how the name comes from. The smoking process lasts for 24 hours. 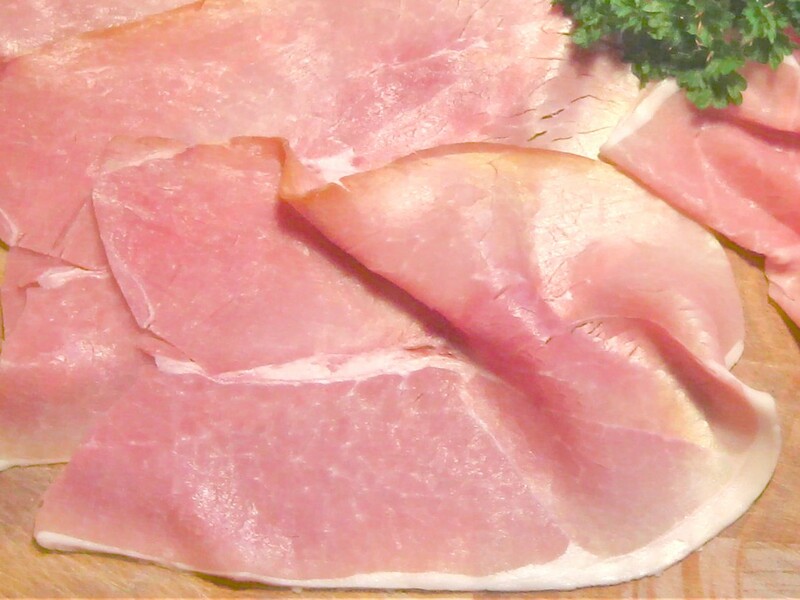 The ham is also called Westfälischer Knochenschinken (Westfalen bone Ham). During the production of Westphalian Schinken the long bones remain in the meat. This creates the special aroma of the ham. The meat is salted by hand and turned over frequently. Such process repeats again and again over a period of several weeks. Then the meat is being dried in special ripening rooms for at least six months. At the end of the ripening period the meats are cold smoked over beech wood. This production method creates a dark red color ham and a yellow rind around it. The bone is taken away before the ham is ready for sale. The production sites must be in Westphalia in order to maintain PGI (protected geographical indication) status under EU law. However, the meat can also come from other regions. This is probably one of the most famous German hams known by other nations. The pork is first seasoned finely using traditional recipes and salted by hand. It remains in salt for a couple of weeks. Then it is smoked with a mixture of green pine twigs, sawdust and wood chips made of Black Forest fir trees. 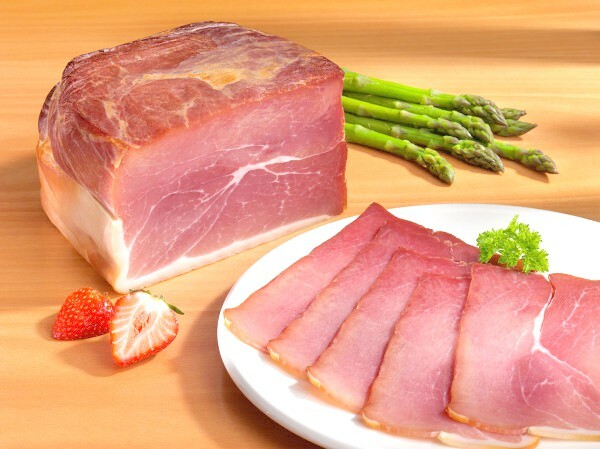 The smoking period lasts three weeks so that the ham gains the typical smoky colour. After a 12-week maturation period it is finally ready for the consumption. This is the cured-ham among all German hams. Norderneyer is an island in North Sea. It provides favorable conditions for the maturation of the ham. Producers use the best pork from contract farmers. The meat is hand-salted and spiced piece by piece. The process only use sea salt and selected spices. The meat is dried naturally in sea breeze. Ammerländer Schinken is from the Ammerland in Lower Saxony. It has PGI (protected geographical indication) status under EU law. The meat is first salted by hand with sea salt, brown sugar and other spices such as cinnamon powder and pepper for three weeks. Then it is cold smoked over beech wood for several weeks. The high humidity in the region prevents the meat from drying out. The subsequent maturation period ranges from about three months to more than two years for the best qualities. This German ham has a typical smell of smoke. Its taste is mild and slightly spicy. The word “Nuss” in German means the flesh part from pig’s back leg. Nussschinken is made with fine natural spices and high concentration salt water. After the maturation in salt, the meat is dried and then through cold smoked over beech fire for many hours. 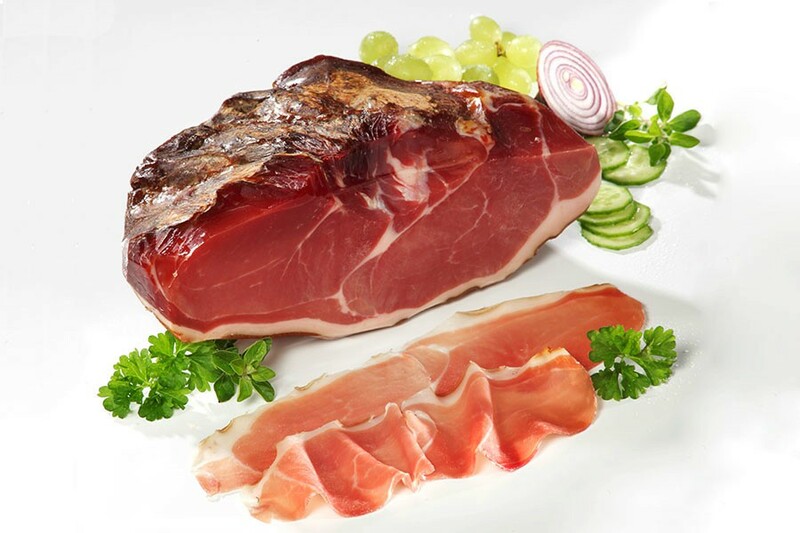 Nussschinken has its particular mild taste with a fine walnut flavour, which sets it apart from other types of German hams. You usually cut it into thin slices and eat with bread. The German word “Lachs” usually means Salmon fish. But here it has nothing to do with fish. The pork loin in German is also called Lachs.In German “Schinken” is the pig’s back leg. 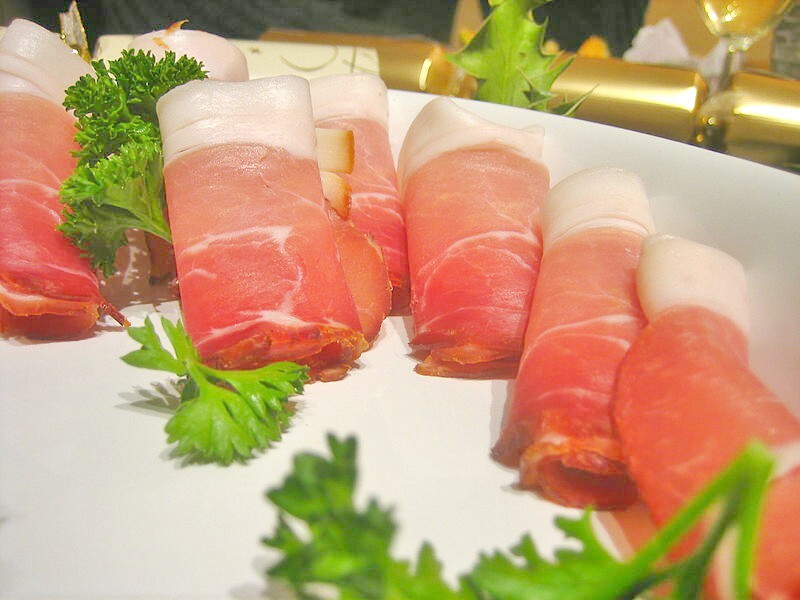 This is type of ham is not made from back leg, but still it is called “Schinken”. The production only uses fat-free pieces of pork loin. The pork is soaked in brine for about 4 to 6 days. Afterwards it is washed and dried in the air. The last step is the cold smoking process. Lachsschinken has pink colour and a mild tasting. It is is also quite juicy compared to other German hams. Usually it is sliced so thin that you can almost see through it.